Pakistan's ousted prime minister Nawaz Sharif will chair a crucial meeting to decide his successor, a day after he was disqualified by the Supreme Court. 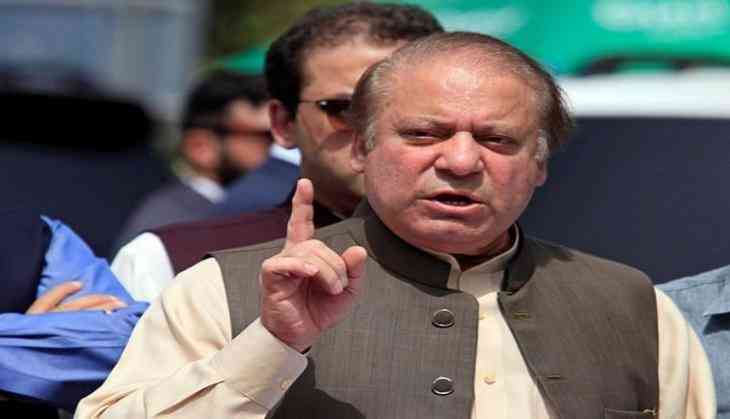 The Supreme Court yesterday disqualified 67-year-old Sharif for dishonesty and ruled that corruption cases be filed against him and his children over the Panama Papers scandal, forcing the embattled leader out of office. Senior Pakistan Muslim League leader and former railway minister Khawaja Saad Rafique said that the party meeting later today. The meeting is likely to include discussion on candidates for the post of the prime minister, party's new president and members of the Cabinet. "Different options were discussed in a similar meeting yesterday but no decision was taken," he said. Meanwhile, party sources said that Sharif proposed name of his younger brother Shehbaz in yesterday's meeting and none of the participants raised any objection to the proposal. Hence, an interim prime minister would have to be chosen from among Sharif's confidants who will resign once Shehbaz is elected. During former military dictator Gen Pervez Musharraf s time, politician Chaudhry Shujaat Hussain was appointed as an interim prime minister until Shaukat Aziz, who was nominated by Musharraf, got elected by the ruling Pakistan Muslim League Quaid-e-Azam (PMLQ).